Assignment: space. 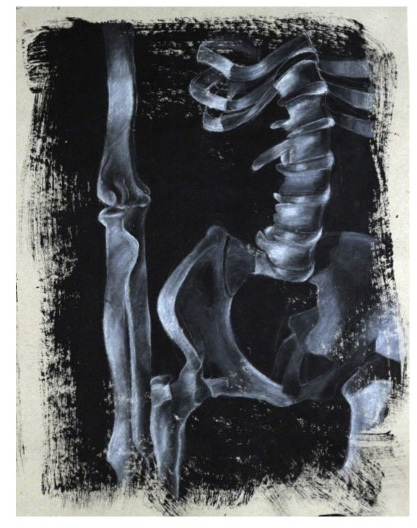 Create a composition of bones from the skeleton, on an irregualr surface using black gesso on bogus paper. Allow the brushwork to show. For developing tone on black paper with white charcoal, draw the lights and mid tones, rather than the shadows.